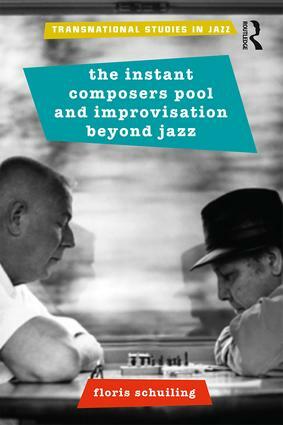 The Instant Composers Pool and Improvisation Beyond Jazz contributes to the expansion and diversification of our understanding of the jazz tradition by describing the history and practice of one of the most important non-American jazz groups: The Instant Composers Pool, founded in Amsterdam in 1967. The Instant Composers Pool describes the meaning of "instant composition" from both a historical and ethnographic perspective. Historically, it details instant composition’s emergence from the encounter between various overlapping transnational avant-gardes, including free jazz, serialism, experimental music, electronic music, and Fluxus. The author shows how the improvising musicians not only engaged with the cultural politics of ethnicity and race involved in the negotiation of the boundaries of jazz as a cultural practice, but transformed the meaning of music in society—particularly the nature of improvisation and performance. Ethnographically, The Instant Composers Pool encourages readers to reconsider the conceptual tools we use to describe music performance, improvisation, and creativity. It takes the practice of "instant composition" as an opportunity to reflect on music performance as a social practice, which is crucial not only for jazz studies, but for general music scholarship. Floris Schuiling is Postdoctoral Researcher, Department of Media & Culture, Utrecht University.